Millions of visitors come each year to a land of harvests and growing families. Tulelake, Tule Lake, Tule Lake Basin… you say potato, I say grebe, you say coyote, I say horseradish, you say harriers, i say cattle, you say pelicans, I say grain, you say mint, I say osprey, you say antelope, I say alfalfa and on and on and on… here is the nature of reclaimed lake bed used by farmers, wildlife and nature watchers. This land is alive in many more ways than controversial media sound bites and headlines you may have seen and heard. Delivering water to soil that was once a lake bed. 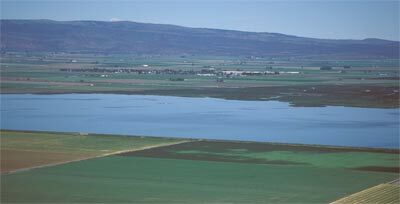 Tule Lake Basin is crisscrossed by Tulelake Irrigation District’s 600 miles of canals- that’s 1,200 miles of shoreline. Water is moved back and forth from farm fields to drains, back to farms, or the lake or U.S. 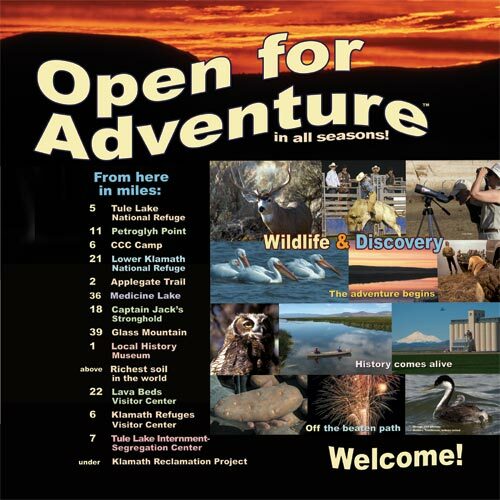 Fish and Wildlife projects. Today, the amount of water used in a year could be less than what naturally evaporated from old Tule Lake. Seasons dance under passing clouds and deep blue skies. A Year in the Life through photos and words. Around the year, if there is water in irrigation canals there is wildlife. A modern relationship between man and migrating waterfowl. I have had people tell me that other people have told them that Tule Lake National Wildlife Refuge is too geometric with all the rectangular farm fields. Everywhere there are right angles, so unnatural for wildlife. I laugh. I wonder where those people live. The chances are their homes were built on land that was once wildlife habitat. It is also possible the land was graded and plated into grids. And in Southern California the lush landscaping, fueled by borrowed water, strived to break up the squares. How can these folks look at wildlife thriving in Tule Lake Basin and say their Tule lifestyle is unbecoming? Wildlife takes advantage of everything it is aware of. It has been said what is good for the goose is good for the gander. Can it be said what is good for man is good for geese? Or what is good for geese is good for man? There are few habitats left that migrating waterfowl can use. 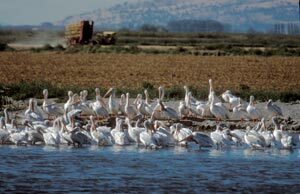 Places like Tulelake are all that these migrations have. 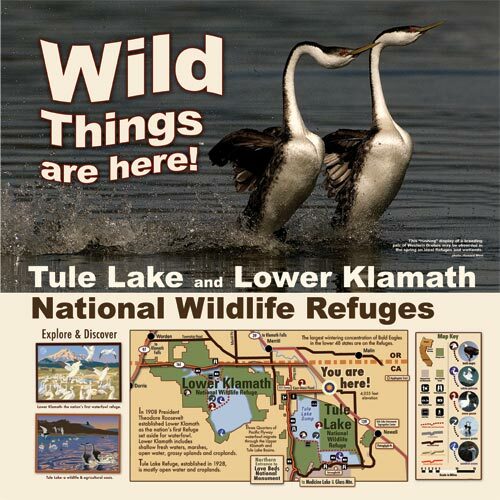 Wildlife use Tulelake refuge and farmland to survive. Looking south from hills behind Merrill and Malin, Oregon. Mother nature does what she does. The springs of 2007 and 2008 in the Upper Klamath Basin were wet. Relatively undeveloped refuge such as Upper Klamath Lake and Klamath Marsh National Wildlife Refuges had so much water there was no where for birds to put nests. 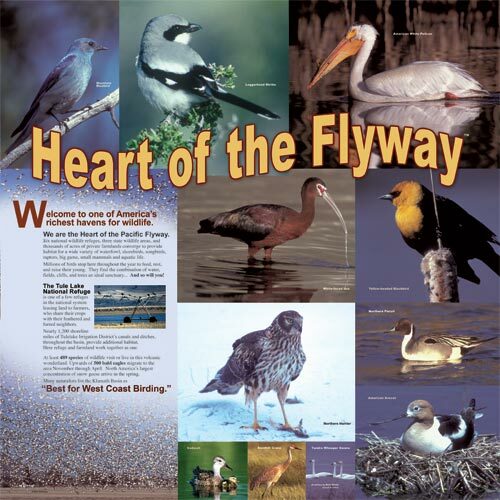 Nests were being built on canal fed Tule and Lower National Wildlife Refuges. Man’s ability to manage water levels provided wildlife with safe nesting areas. Free flowing nature can be a killer, as well as a provider. Despite man’s researched predictions, whatever the research intentions may be, the world doesn’t always follow projected mathematical models. 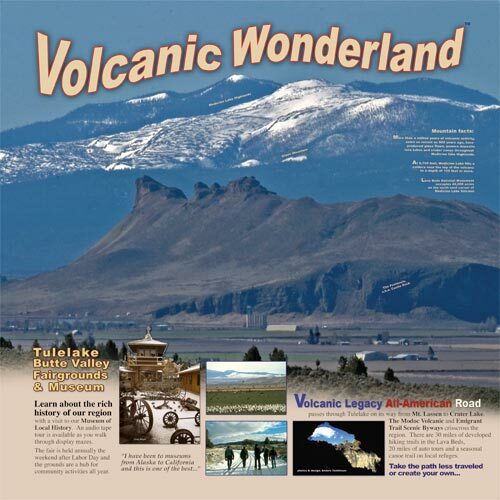 The story of Tulelake is both ancient and modern. It is a story of accommodation and cooperation. One needs to visit, linger, listen and watch with willing and open eyes. The future of man and wildlife plays out before you. During World War II, 120,000 Japanese-Americans were incarcerated in Federal relocation centers: one out of four spent time at Tule Lake. Tule Lake Internment covered much of ground seen here including the town of Newell. 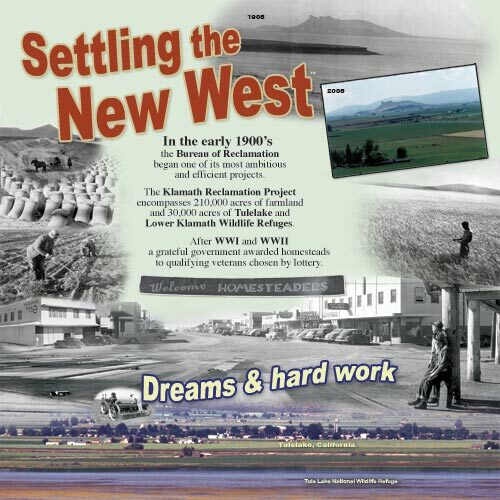 Designed to hold 10,000 internees within a square mile Tule Lake began construction in April 1942. One month later, internees began arriving from Northern California, Washington and Oregon. Confinement peaked at 18,789. Nearly 30,000 were imprisoned at Tule Lake which remained open until 1946, the last Federal relocation center to close. Tule Lake Internment Camp was the largest and most infamous because in July 1943 it became Tule Lake Segregation Center. Internees from other relocation centers who refused to sign a loyalty oath or caused disturbances were sent to Tule Lake. An American Story that should never be forgotten. 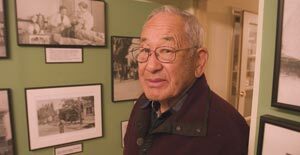 Hiroshi Kashiwagi shares his poem a Meeting In Tule Lake. His narration for this film was recorded in 2006 by Anders Tomlinson at Hiroshi’s San Francisco basement with Jimi Yamaichi assisting. Anders Tomlinson edited the archival still images and his Pilgrimage video footage with Hiroshi’s powerful reading and Denver Clay’s piano music, recorded in Tulelake, CA. Produced by Anders Tomlinson, Hiroshi Kashiwagi and Jimi Yamaichi. ©2012 Hiroshi Kashiwagi and Anders Tomlinson, all rights reserved. Special thanks to the Tule Lake Committee for their support and encouragement. To watch more Tule Lake Internment – Segregation Center videos by Jimi Yamaichi and Anders Tomlinson visit My Face Was My Crime . 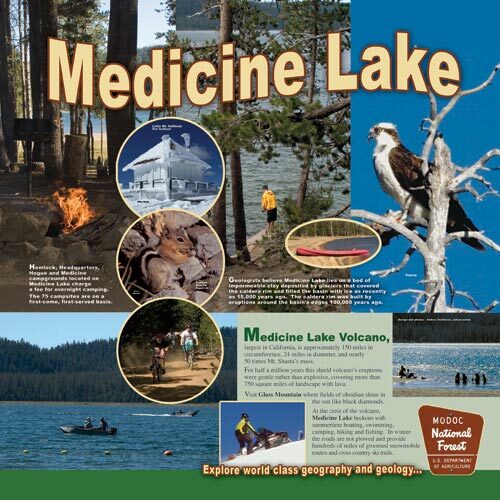 In 2006, 43 acres were designated a National Historic Landmark. Some haunting reminders- a concrete jail house, leaning-tar-papered barracks, bathroom floors, sewage tanks, guard towers and barb wire fencing. Today, there are pilgrimages, film crews, federal caretakers and fading recollections. In December 2008, Tule Lake became WWII Valor in the Pacific National Monument, Tule Lake Unit. Including Tule Lake in our National Park System will help ensure preservation of the site for future generations to learn first-hand from the lessons of this grave injustice. 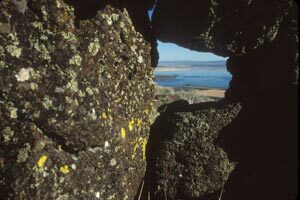 Pilgrimages are held that spend several days in Tulelake and Klamath Falls. Jimi Yamaichi spent a great deal of time over six years helping me interview internees. My first day with Jimi was filming a tour of the former internment center’s grounds. One of the many interviews Jimi arranged was with Hiroshi Kashiwagi. Several sessions later Hiroshi performed a spirited reading of his poem A Meeting in Tule Lake. This narration was used for an eight minute film. Three pilgrimages were also documented. 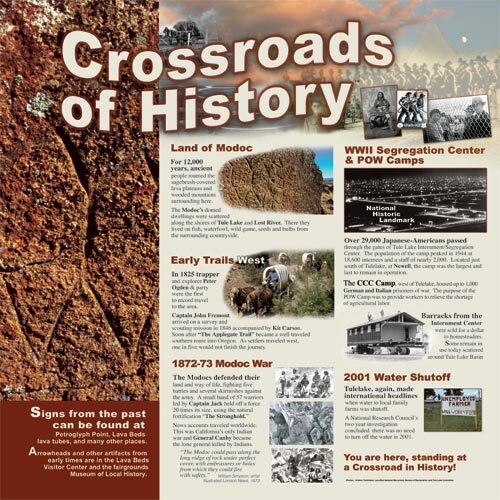 For more internment information visit Tule Lake Internment Camp videos. Jimi at the Japanese American Museum of San Jose. The spring waterfowl migration to Tulelake-Klamath Falls is a sight to behold. Millions have enacted this yearly passage for thousands of years. Fields Of Splendor follows the spring migration from early February through late May. It also visits arctic breeding grounds and California wintering spots including Sacramento and Sonny Bono National Wildlife Refuges. Common denominators are bodies of water surrounded by farmland. Snow geese rise off a farm field near Tule Lake National Wildlife Refuge. Watching a lake surface, or farm field, explode with a riotous rising of thousands of geese can take one’s breath away. One becomes part of the excitement as the geese circle overhead. How, and why, do they do what they do? Fields of Splendor makes sense of the coming and goings of Snow, Speckled and Canadian geese finding food and refuge on Tule Lake and Lower Klamath National Wildlife Refuges and Tulelake farmland. Spring Migration video. The script for Fields of Splendor was written by Dr. Lawrence Powers. Soundtrack is by SonicAtomics. Editing will begin in the Fall or 2012. Here is California's beginning or end depending on the direction one is driving. These are the first waterfowl refuge and a wildlife - agricultural oasis. At least 489 species of wildlife visit or live in this volcanic wonderland. 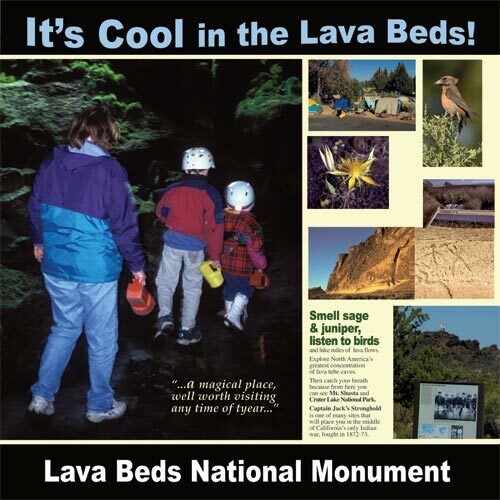 Explore North America's greatest concentration of lava tube caves. For 12,000 years humans have roam this land. 750 square miles of landscape is covered with lava. Here are eight panels, 4' x 4', that share epic tales and wondrous landscapes.